Study centers in both urban and rural areas, private education, a scholarship home, music and a popular soccer program are some of the ways that BrightStart assists with the learning and social needs of children in Cambodia. Our students remain enrolled in the Cambodian public school system while attending educational offerings at BrightStart Study Centers. The Chomneak Study Center, shown above, is one of BrightStart's 10 sites. Classes are provided to students free of charge, six days per week, from Kindergarten to Grade 12. Classes are provided in the Khmer language for subjects such as Math, Biology, Physics, Chemistry and Computer Skills. Several of our centers offer multiple levels of English instruction. 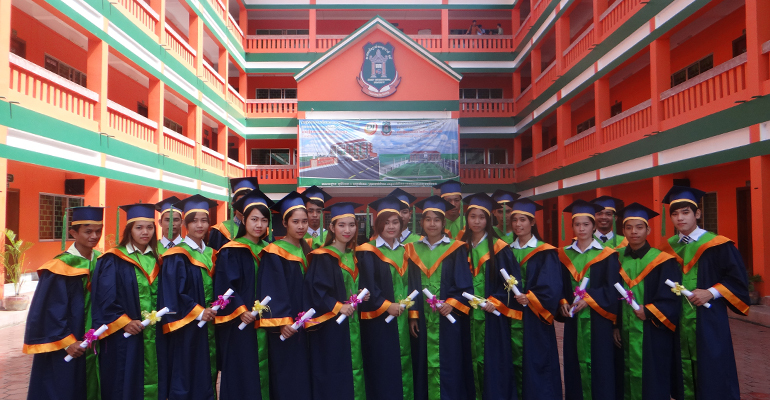 BrightStart provides scholarships for outstanding students to attend the Dewey International Schools in Battambang and the ABC123 International School in Phnom Penh. The Mary Blackwell Scholarship Home opened in October of 2016, housing young women from rural areas where educational opportunities become limited at the Grade 9 level. These girls have the opportunity to further their studies in a safe Christian environment while supervised by a full-time student residence director. 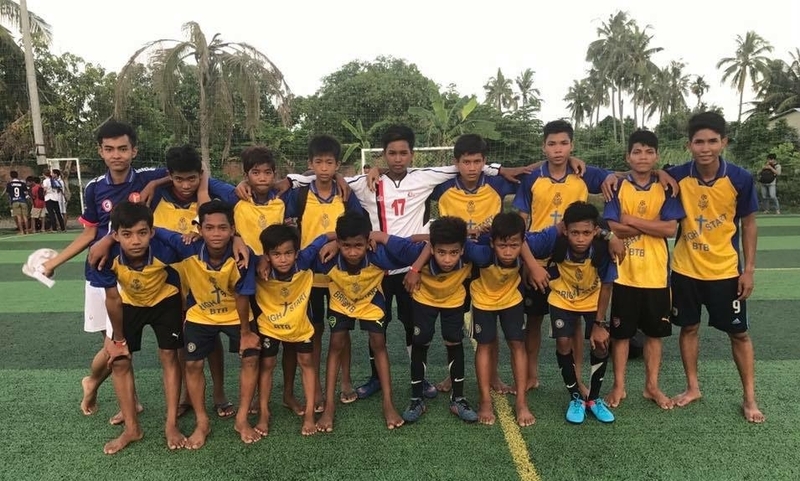 Since 2014, BrightStart's soccer program has brought a lot of fun and purpose into the lives of children in the Battambang area. Our boys’ and girls’ teams are trained in soccer skills and prepared for league play while they’re taught about Christian values, commitment and the importance of respect for themselves, the other players on the team and their coaches. Our BrightStart students receive instruction in guitar, drums, keyboard and vocals from our valued partner Cambodia Christian Hope Ministry. Music - as well as the musicians - was essentially decimated during the late-1970s by Cambodia’s Khmer Rouge regime and it has been slow to re-emerge as a practiced, creative art form. BrightStart is bringing music back into their students’ lives for worship, recreation or as a professional consideration. Several of BrightStart’s regular weekly study centers become fun-filled Sunday schools on the weekend. We have a Sunday school at BrightStart’s Svay Sa study center and at a partnering school site, Association for Knowledge Development. Our staff transitions from instructors to disciples by coaching a growing number of children to seek Jesus and His Gospel of hope, joy, unity and personal relationship.